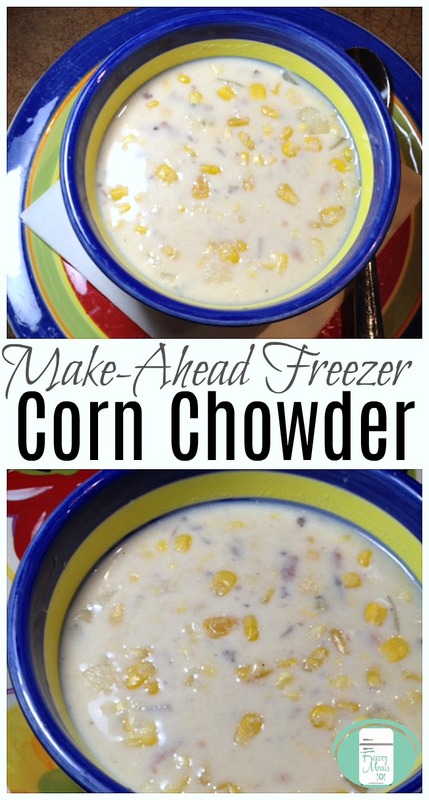 This freezer corn chowder recipe is one that you are going to thank me for sharing. I haven’t met anyone yet who doesn’t like it. It is hearty which makes it perfect for a cold day. It stretches far if you pair it with salad or buns. And it has bacon. That right there pretty much seals the deal! When I make this soup, I quadruple it and divide it into four large resealable freezer bags. There is pretty much never a time when I don’t have this in my freezer. I pull it out for unexpected company, for lunches, as a starter or side dish, or as a full dinner if I serve bread or buns with it. As I type this, we are in the mountains on our annual family ski trip. I brought freezer meals with us because the condo we rent has a kitchen and when you travel with this many kids, it’s not realistic to eat in restaurants. I chose meals to bring that were hearty, delicious and easy to reheat. When my kids come in off the ski hill, they are HUNGRY! 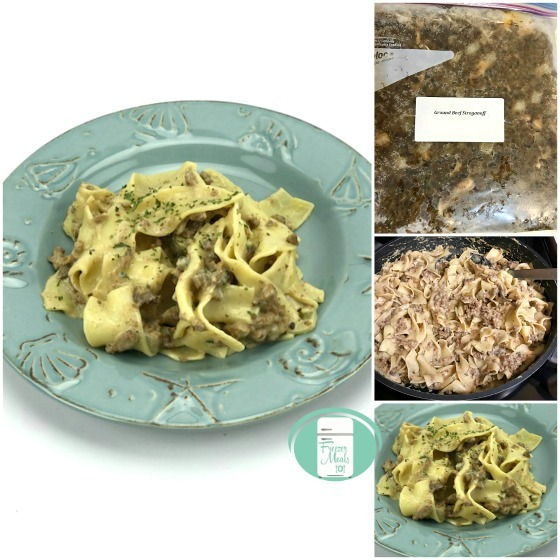 This time, the freezer meals I brought with us were chili, turkey noodle soup made from holiday leftovers, tortellini soup, and corn chowder. When I told the kids today that we were having corn chowder for supper tonight, there were cheers. It’s that good! What the kids don’t realize is that this recipe is so easy to make. Whenever I serve this soup when we have guests over, they ask for the recipe and then can’t believe how simple it is. To prep everything for this recipe, all you need to do is chop the onion and cook and crumble the bacon. You can cook the bacon however you prefer to cook it, whether that be in the microwave, in the oven or on the stovetop in a skillet. I would probably use the microwave if I were only making one of this recipe (which I’ve never done since I always make at least four of these at a time), but to make more, I use the skillet or oven. Once your onion and bacon are prepped, stir everything together in a large bowl. Put a large resealable freezer bag into a juice jug and fold it over the top. This will hold the bag open for you as you pour the soup in. Pour the soup into the bag, take the bag out of the jug, remove the extra air, seal it and freeze. On the day of cooking, take the bag out of the freezer to thaw and heat on stovetop over medium-low heat or in the microwave. 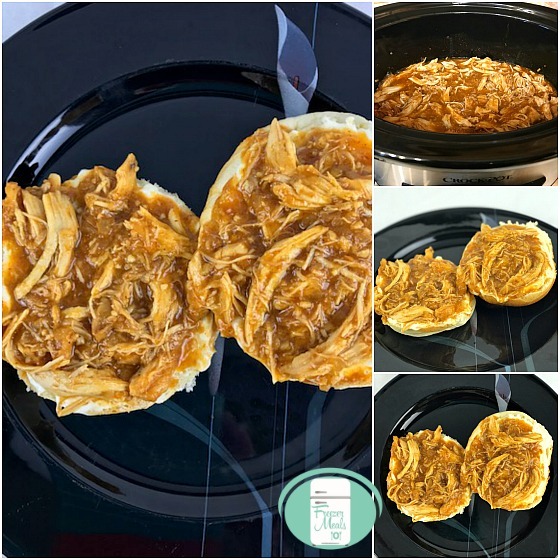 If you prefer, you can also heat the soup in the slow cooker on low for 2-3 hours. 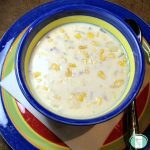 Can you freeze corn chowder? 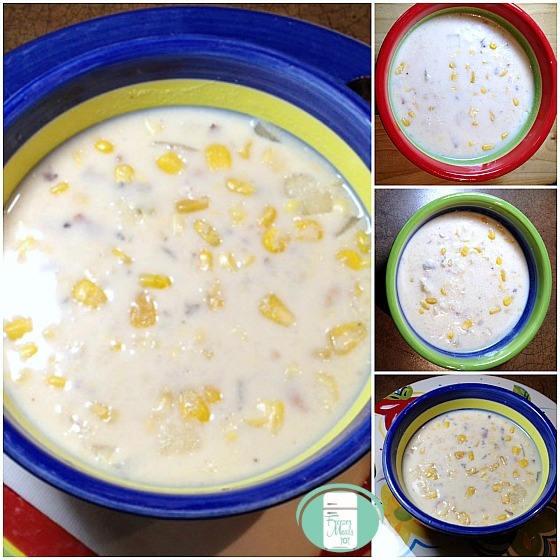 This corn chowder with bacon recipe freezes so well. It makes an excellent freezer meal. Corn chowders that contain milk will not freeze well. If you use evaporated milk or heavy cream in the chowder recipe, then it should freeze beautifully. In short, the answer as to whether or not corn chowder can be frozen depends on the ingredients included. To prep everything for this recipe, all you need to do is chop the onion and cook and crumble the bacon. Once your onion and bacon are prepped, stir everything together in a large bowl. Put a large resealable freezer bag into a juice jug and fold it over the top. This will hold the bag open for you as you pour the soup in. Pour the soup into the bag, take the bag out of the jug, remove the extra air, seal it and freeze. On the day of cooking, take the bag out of the freezer to thaw and heat on stovetop over medium-low heat or in the microwave. If you prefer, you can also heat the soup in the slow cooker on low for 2-3 hours.